A super expression of Longrow single malt, Springbank's peated expression. This was initially matured for 12 years in bourbon casks before a 15 month finishing period in Malbec barriques from De Toren Private Cellar in Stollenbosch, South Africa. STRICTLY ONE BOTTLE PER CUSTOMER, ORDERS FOR MORE THAN ONE BOTTLE WILL BE CANCELLED! Types of Barrel used for Aging Initial ageing in ex-bourbon casks followed by a finishing period in Malbec barriques from Stollenbosch in South Africa. A richly flavoured 18 year old that has been double distilled at Springbank and was made using heavi.. The fourth release in the current Springbank Local Barley lineup. This time the grain was sourced fr.. 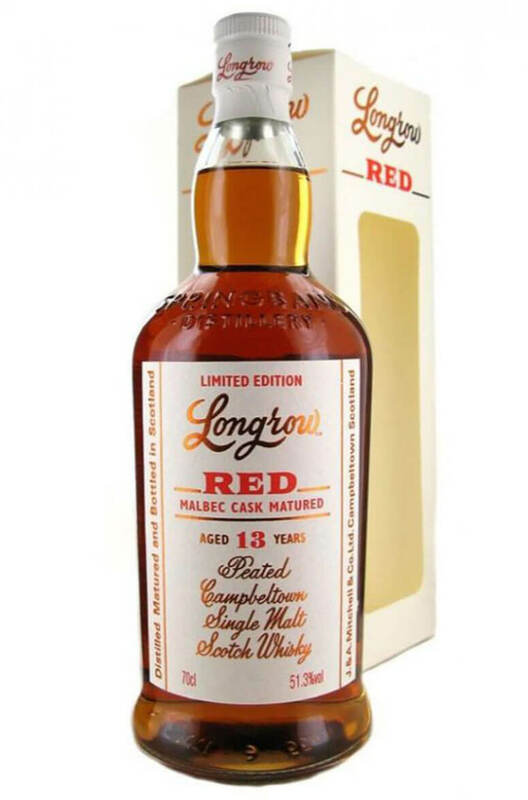 The Longrow 14 Year Old is a heavily peated single malt that has been matured entirely in Oloroso Sh..